This post contains some short biographies of women who were early leaders (prior to 1900) in the various Wesleyan inspired movements. The Methodist, Holiness, and Charismatic movements all have a rich egalitarian history. Due to the length of this post, many worthy names are omitted. This list should not be considered exhaustive. Sarah Crosby (1729-1804) Sarah was born in Leeds, Yorkshire. A former Calvinist, she became a Methodist after hearing John Wesley preach. In 1761 she became one of the first female preachers in Methodism. She traveled and preached extensively, with the encouragement of John Wesley. Barbara Heck (1734-1804) An immigrant from Ireland, Barbara was instrumental in the founding of the Methodist movement in New York state. She is known as the mother of American Methodism. She was a loyalist (supporter of England). After the American Revolution, her family relocated to Canada and she continued her work there. Mary Bosanquet Fletcher (1739-1815) Mary was an early leader in the Methodist movement. She was a preacher and teacher. She managed a house in London to take care of the poor and destitute. Later in life she married John Fletcher (a close associate of John Wesley). After Mr. Fletcher’s death, she continued in ministry for another 30 years. Fanny Butterfield Newell (1793-1824) Fanny was the wife of a well known Methodist preacher, and also preached herself. They helped found a Methodist church in Sydney Maine, Fanny preached in the New England states. Juliann Jane Tillman (?-?) Tillman was preacher in the AME in the early part of the 19th century. She was probably an itinerant evangelist. In the early days of the AME, women were permitted to preach, but not to be in leadership in the local church. The lithograph below was done in 1844. 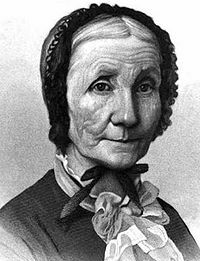 Laura Smith Haviland (1808-1898) Laura was the daughter of Quaker leaders and later worked with the Wesleyan Methodists in the fight against slavery. She was a well known abolitionist, and active in the underground railroad (helping African slaves escape to free states). The Wesleyan Methodist church recognized her work by giving her a district appointment (the same authority that a pastor of a church would receive). 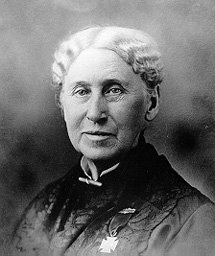 Fanny J. Crosby (1820-1915) Crosby penned the lyrics for more than 8000 poems and hymns. She sometimes used pseudonyms when writing because publishers were reluctant to fill their hymnals entirely with her work. Crosby memorized long passages of scripture. She was a frequent public speaker, and a sought after revival preacher. 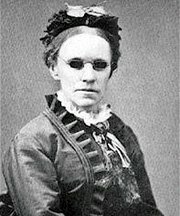 She was an advocate of education for the blind (being blinded herself in early childhood). Blessed assurance, Jesus is mine! Oh, what a foretaste of glory divine! Heir of salvation, purchase of God, Born of His Spirit, washed in His blood. 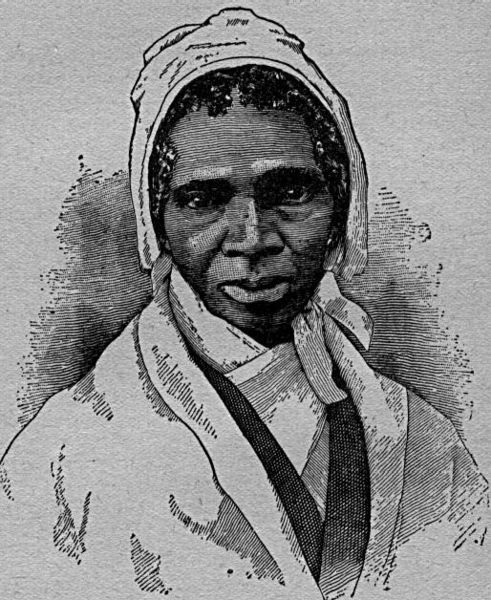 Sarah Smith (1822-1908) Known as “Mother Smith”, Sarah was a believer in the power of God. She had little formal eduction, knowing only how to write simple print. Originally a timid person, she became a bold prayer warrior after a sanctification experience. At the age of 61, she first felt the call to preach. She joined a group of holiness evangelists who held revival meetings and planted new churches in many different states. These churches eventually formed the “Anderson Church of God” denomination. Julia Foote (1823-1900) Julia was born in New york, a child of former slaves. She was a longtime member of the African Methodist Episcopal Zion Church (AMEZ). By the late 1840’s she felt a call to preach, and became a traveling evangelist. Mary Clarke Nind (1825-1905) Mary was a leader in the Methodist missionary movement. She founded the “Woman’s Foreign Missionary Society”. Originally a Congregationalist, Mary became a Methodist because of her interest in holiness doctrine, and because of her desire to preach the Gospel. She was affectionately called “Our Little Bishop”. Annie Wittenmyer (1827-1900) Nicknamed “God’s angel”, Annie was best known for her work assisting wounded Union soldiers during the American civil war. President Grant is quoted as saying “No soldier on the firing line gave more heroic service than she did.” Annie had a special heart for children. She wrote children’s hymns, established Sunday schools, and dedicated time to assisting war orphans. She was was a writer and leader in the Temperance movement. 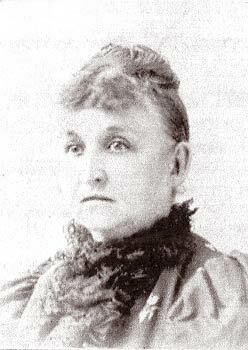 She was active in leadership in the development of the state of Iowa. 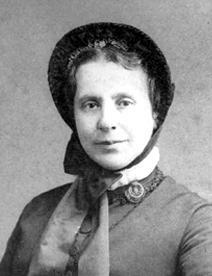 Catherine Booth (1829-1890) William and Catherine Booth founded the Salvation Army. Catherine’s leadership skills and strong Wesleyan theology were instrumental in the formation of the organization. She often preached to to more affluent audiences, urging them to minister to the poor. She was involved in the temperance movement, seeing the effects of alcohol abuse. Catherine was known as the “Army Mother”. Jennie Fowler Willing (1834-1916) Willing founded the “New York Evangelistic Training School”, which was a missionary training center. She was ordained in 1873. She was an early Christian expert on Mormonism, and wrote a book entitled: Mormonism: The Mohammedanism of the West. 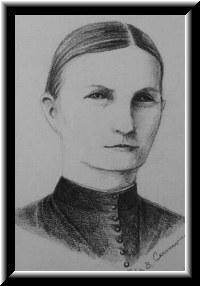 Mary Depew (1836-1892) Mary was an evangelist for the Wesleyan Methodists, and was a major influence in the Wesleyan Holiness revival. She preached throughout Indiana, Ohio and Michigan. Amanda Berry Smith (1837-1915) Amanda was known as “the colored evangelist”. Born a slave, by 1840 her parents had saved enough money to purchase the family’s freedom. They moved from Maryland to Pennsylvania, and joined the abolitionist movement. Amanda taught herself to read by cutting letters from the newspapers that her father brought home. By the 1870’s Amanda had become a well known holiness evangelist, frequently preaching at revivals and camp meetings. She traveled throughout the United States. She spent 12 years abroad, doing missionary work in Europe, India, and Africa. She founded an orphanage in Chicago. Elizabeth Sisson (1843-1934) Elizabeth was a writer, missionary, and preacher. She was an early missionary to India, where she ministered among the Hindus. After returning to the USA she became a popular evangelist and speaker in the young charismatic movement. She was a co-editor for a publication called “Triumph of Faith” (with Carrie Judd, see below). Elizabeth was involved in the founding of the Assemblies of God, and was ordained in 1917. Anna (Annie) Hanscome (1845? 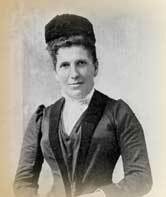 – 1899) Annie was a holiness preacher. In 1890, she founded a church in Malden, Massachusetts. She was ordained in 1892 by a holiness group that would later join the Nazarene church, thus making her the first of many ordained females in the denomination. The church she founded continues today, and is one of the oldest Nazarene churches in existence. Emma Whittemore (1850-1931) Emma Whittemore was an unlikely leader. She and her husband Sydney and were wealthy New York socialites. They both felt called to serve the poor. Emma was quite timid and shy, until the Holy Spirit called her into service. She founded the “Door of Hope” mission in New York City, which ministered to street girls. The Whittemores became leaders in the Salvation Army, and were also active in the foundation of Gospel Rescue Missions. Emma was a popular public speaker. Carrie Judd Montgomery (1858-1946) After being bedridden for a number of years, Carrie had an amazing healing experience. Afterwords she began to share her story with others. She was a well respected person, and preached to widely different audiences. She shared her message with multiracial groups, and with any church who would open their doors. 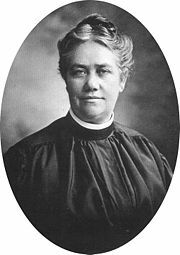 She was involved with the Salvation Army, and was acquainted with many leaders in the various Wesleyan-Holiness movements. She was involved in the founding of the Christian Missionary Alliance, and of the Assemblies of God. At a time when many were suspicious of the new Charismatic movement, Carrie was a unifier who helped to promote unity between Holiness and Charismatic groups. Rachel Bradley. Rachel’s motto was “The World for Jesus”. She was a Free Methodist. She founded a number of missions and outreach programs in Chicago, the oldest of which was the Olive Branch Mission, established in 1867. At the time, prostitution was rampant in the city, even among young girls, who were bought and sold by the brothels. Rachel took girls off the street and taught them skills in order to give them an alternate means to provide for themselves. The mission is still in operation today. Helenor M. Davison Helenor M. Davison was a Methodist, and was ordained in 1866 by the North Indiana Conference of the Methodist Protestant Church, probably making her the first ordained woman in the American Methodist tradition. Florence Lee (1859-1958) Florence was an ordained minister in the Pilgrim Holiness Church (A parent body of the Wesleyan Church). She was an evangelist, ran a rescue home in Colorado, was active in the PCH Bible college, and was an editor of a magazine called “The Mission Advance”. Fannie McDowell Hunter (1860-1912?) Fannie was the grand daughter of a Methodist circuit rider. She was a holiness evangelist, and was involved in the founding of the Church of the Nazarene. She wrote a book entitled “Women preachers” which was a compilation of stories of contemporary women preachers. Dr Lilian Yeomans (1861-1942) Lilian and her mother Amelia were physicians in Manitoba. They learned medicine in Michigan, as Canada did not admit women into med school at the time. They provided health care for women and children, the poor in their community. Lilian became addicted to morphine after using it on the job. After nearly dying, she was healed from the addiction. She gave up her medical practice, and became an evangelist and a missionary to the Cree Indians. She wrote about diving healing and how God had healed her addition. She was a popular speaker on the topic of healing. Alma B. White (1862-1946) Alma was an amazing woman, yet not without controversy because of her racism. She founded the “Pillar of Fire” church denomination. She was the first female bishop of a denomination in the United States. She was involved in the temperance and woman’s suffrage movements. Rachel Sizelove (1864-1941) Rachel was an itinerant evangelist. Initially a Free Methodist, she became Charismatic after hearing William Seymour preach at the Azuza Street revival in Los Angeles. She founded the original Assembly of God church in Springfield, Missouri. Mary Lee Cagle (1864-1955) Mary was a holiness preacher from Alabama. She felt the call to preach at a young age, but was discouraged by her family from following the call. She married an evangelist named Robert Lee Harris, and first learned to preach by observing him. After Harris died of tuberculosis, Mary began preaching on her own. She traveled with a group of women evangelists. She also often preached to black congregations. This was quite unusual at the time for a white woman from rural Alabama. She helped to found a number of holiness churches in Alabama, Texas and New Mexico. She was involved in the formation of the Church of the Nazarene. Santos Elizondo (1867-1941) Santos was born in Mexico. She became a Christian at one of Phineas Bresee’s Holiness revivals in Los Angeles. She founded at least two churches, one in El Paso, TX, and another in Juarez, Mexico. She lead Nazarene missions in Mexico for 35 years. While there, she founded orphanages and ministered to the poorest of the poor. Because of her servant heart, she was able to overcome much of the initial Mexican cultural hostility to her work (being Protestant and female were two big strikes). A number of prominent priests and officials attended her funeral. Spiritual Chain Reactions: Women Used of God – A list of early Assembly of God leaders. Wesleyan Holiness Women – The history of women preachers in the Holiness movement. Empowered Foremothers – An article about how today’s Christian feminists can learn from the leadership of early Wesleyan women. American Women in Mission – Online Google book. 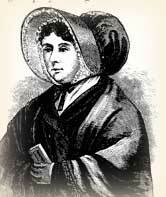 Turn the Pulpit Loose – Article on women preachers from the last two centuries. God’s Word to Women – A brief history of some women in ministry. A Woman’s Place? – Online book by C.S. Cowles. In memory of my grandmother Lela Jackson. G’ma was an ordained minister (and many other things). WHAT AN AWESOME POST! Thank you for this list. I have been blessed by it, brother. Kevin – Thanks for the hard work an the time that you put in on this invaluable post. Sojourner Truth is one of my favorites in your list. I love her quote about man not being involved with Christ. Thanks Dale, I liked that quote too. Just adding my voice to the others: thanks for this list. Very inspiring. Kevin,Wow, is this cool, or what?This is a fantastic post. I've got link it to some of my posts on Christian egalitarianism as a resource. Great work!